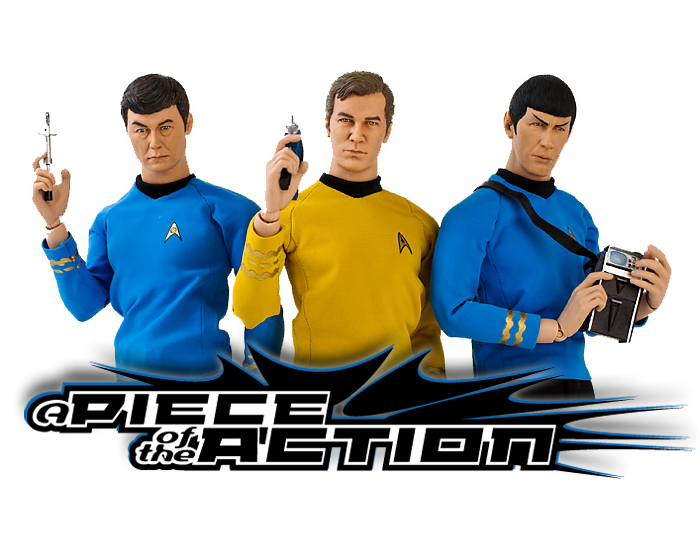 A Piece Of The Action: AA/ DST Spotlight- Captain James T. Kirk & Spock As Seen In "The Enterprise Incident"
As Seen In "The Enterprise Incident"
DST released this 2 pack as part of their Classic Star Trek line, with the "all-era-inclusive" style packaging. 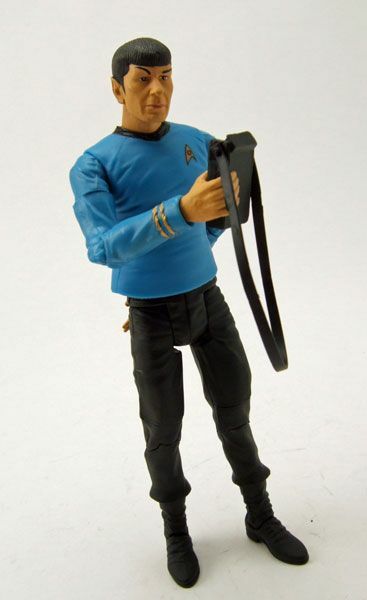 Body-wise, Spock is basically the same figure we've had since the first wave of Art Asylum Trek figures. Same articulation as always, which means you'll be able to strike a ton of poses with this guy. Mine has a slightly wonky left ankle though which prevents his foot from fully moving forward. 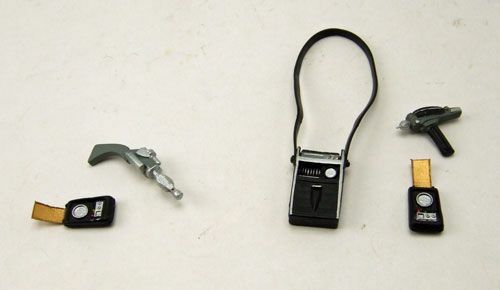 Not sure if they are all like this, but be careful with yours if it is a common problem. 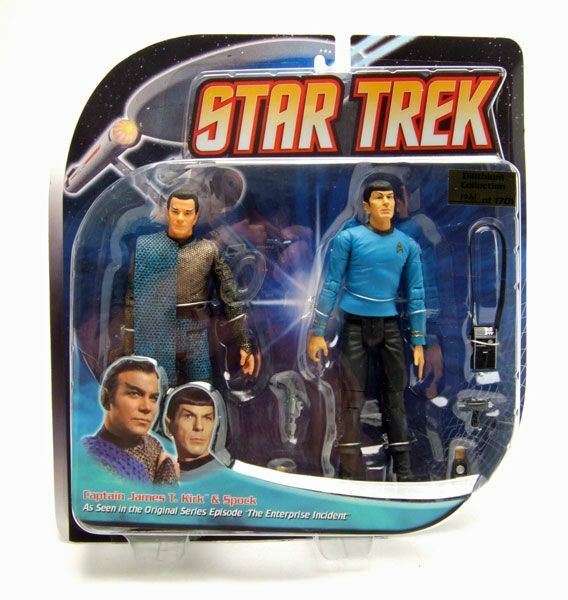 The paints used on this release of Spock are very similar to the 2 recent DST Spock re-releases (spotlighted HERE). And yep... he still has that same rubber shirt used across the line. Notice the fly-away warping and indentations on the shirt caused by those twist-ties? I hate that. Oh how I wish they would re-do all these with solid torsos... but I'm sure you're probably tired of me groaning about that by now. 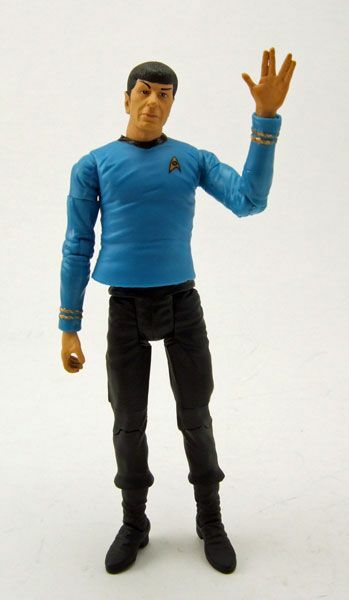 Oh, and he doesn't come with any extra hands, so Spock is perpetually stuck doing the "LL&P" salute unless you snag an extra hand from somebody else. Like I said at the start of this, both figures are simply new heads on existing bodies. 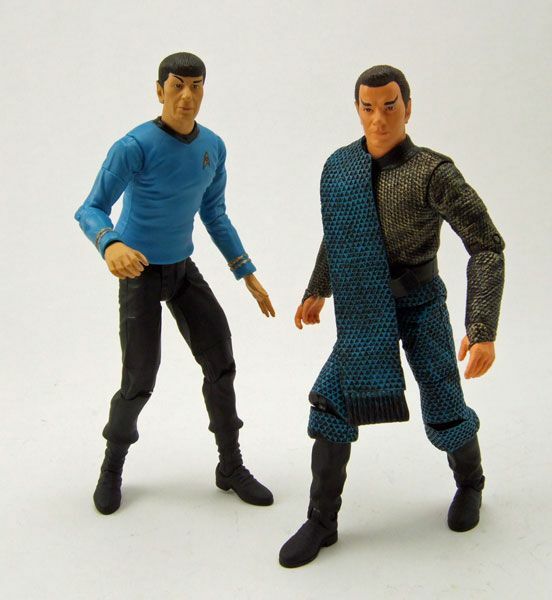 For Kirk, the body being reused is the recently released Romulan (spotlighted HERE). 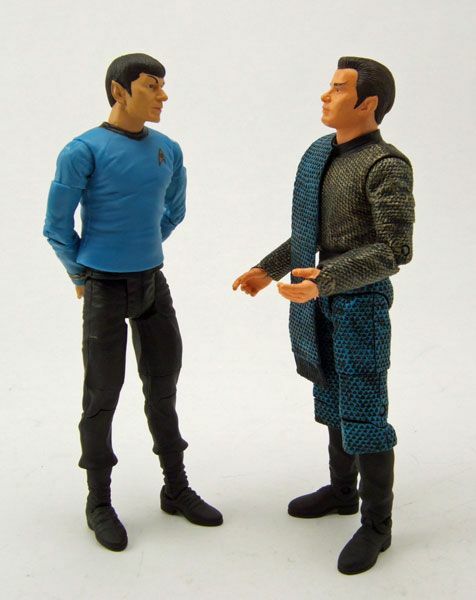 The DST Romulan is probably one of my favorite Trek figures ever, so I have no complaints about it's re-use here, especially since Kirk wears the exact same thing. What's new here is the head sculpt... and boy what a head sculpt it is! 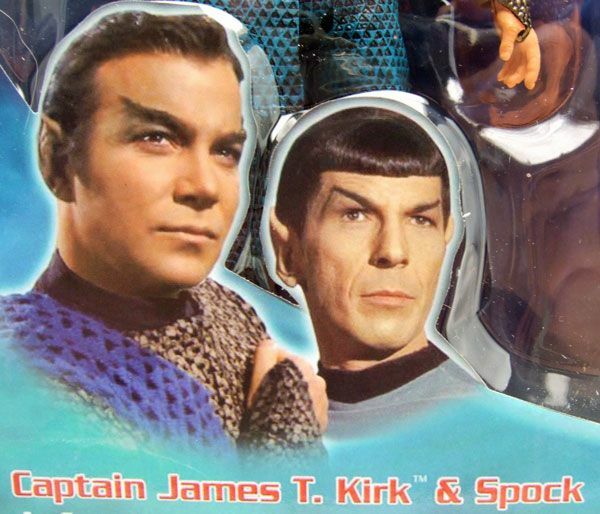 It's not often that I can say a company nails a Shatner likeness, but DST knocked this one out of the park. I just can't get over how nice this head is. 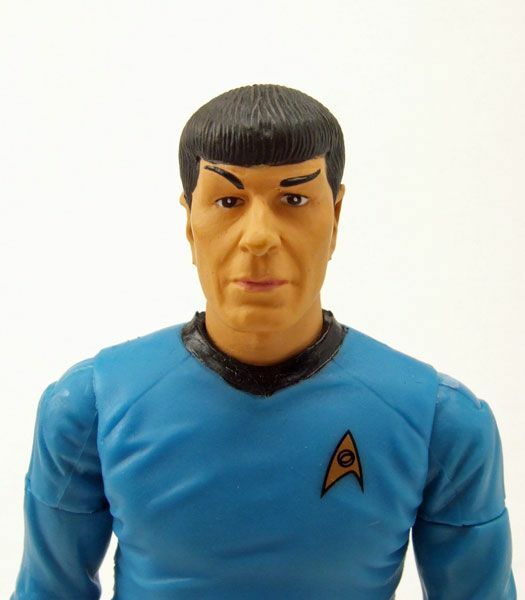 Maybe it's the fact that "Romulanizing" Kirk makes his face more distinctive and therefore easier to capture in a sculpt... I have no idea, but pictures really don't do this thing justice. It's a piece of plastic perfection. And as nice as the sculpt is, I have to also give DST props on the choice of paints used here. Instead of the standard flat paint for the skin, they went with a slightly glossy look. Whether it was intentional or not, the slight sheen helps capture the caked-on makeup look that Kirk had when he was wearing his Romulan disguise. One very small complaint- The paint on mine had one slightly gloppy spot on the face, so make sure you keep a careful eye out for that if you find these in stores. Speaking of finding these in stores- If you do happen across this set, I wouldn't debate too long about picking it up. All 3 of these final 2 packs are now part of DST's "Dilithium Collection", meaning only a limited number were produced. 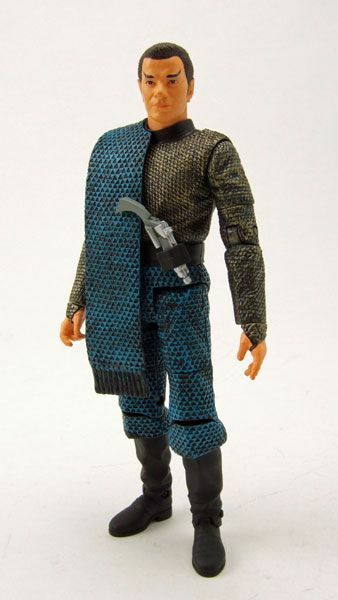 There are only 1701 of each pack, which may seem like a lot... but remember back when Playmates did Tapestry Picard? Yeah, there were only 1701 of those too. 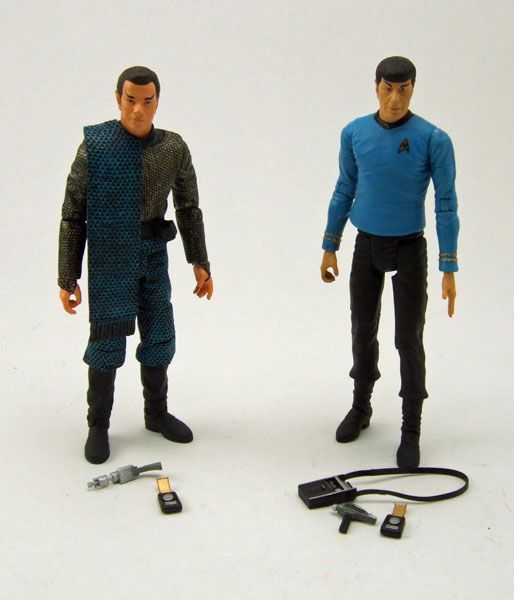 Now Trek isn't hot as it was back then (heck, no toys are as hot as they were back then), but how often do you see that figure in somebody's collection now? Any way you cut it, 1701 isn't that big of a number, regardless of how hot an item is or isn't. Out of the 3 new 2-packs, this was the one I looked forward to the most. While Spock kinda fell short of my hopes, Kirk rocks beyond belief. He makes the set worth the price of admission. 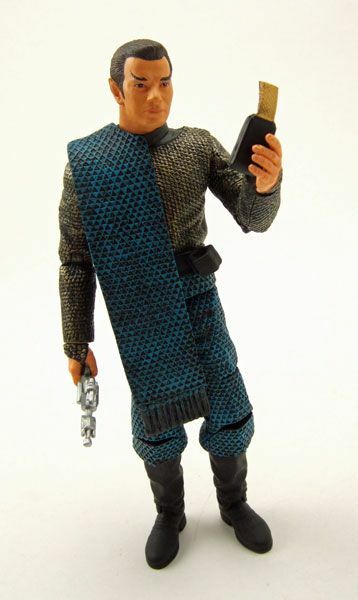 I haven't snagged the "Where No Man Has Gone Before" pack yet, but it may edge this set out of the top spot just due to the new accessories included with it (a Pike era laser and communicator!?!). I actually have the Gorn Vs Kirk set already, but the quality control looks to be so poor on it that neither of the 2 sets I ordered are suitable for review and I am stuck awaiting a replacement. Whether or not it manages to keep the top place of the 3 packs, Romulan Kirk is a fantastic piece that no DST Trek fan should skip. Great review, I want it! 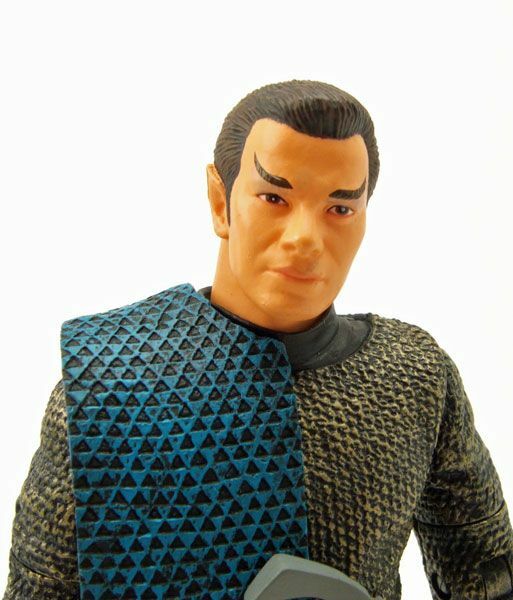 reading your review makes me so glad i ordered 2 of these sets, i've been waiting for this romulan kirk figure for a long time! great review! Is Spock's head really that yellow? Or is it just the pictures?